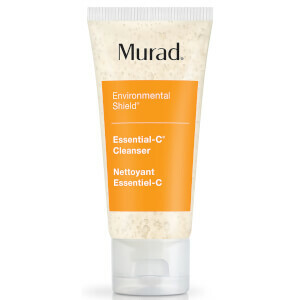 Shield and restore environmentally stressed skin with next generation Vitamin C and Murad's patented Skin Repair System to improve radiance, firmness and elasticity while protecting skin from sun and free radical damage. Protects and strengthens skin against environmental aging. 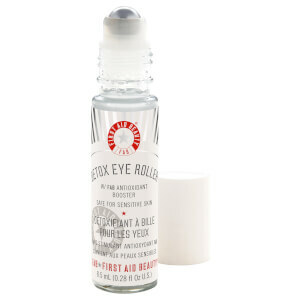 Blocks UVA/UVB rays to prevent sun and free radical damage. 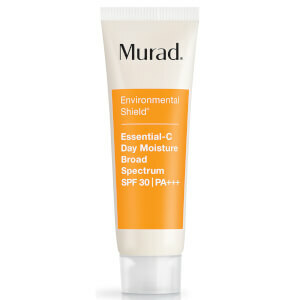 Powerful antioxidant-rich sunscreen shields and restores environmentally stressed skin. Next generation Vitamin C and the patented Skin Repair System improve firmness and elasticity. Apply liberally to face, neck and chest. I've used this product since it was first introduced a number of years ago. I didn't want to use two products (moisturizer plus a separate sunscreen), and this is the best combo I've found. I live in Colorado where it's sunny and dry, and this protects and isn't too heavy/sticky. I'm sensitive to greasy and smelly face lotions, and this is a proven winner. I got this cream for my girlfriend. She loves it. The cream goes easy and she loves the smell. I can see the fine wrinkles going away. Thanks for making my girlfriend look 10 year younger. I use this and the SPF 30 body lotion. They are very light weight, nongreasy. I use them every day, year round. 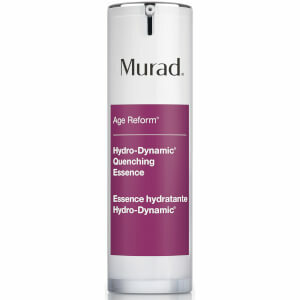 Murad Essential C Moisturizer like many of the Murad "C" line products are great for summer months. A great everyday moisturizer that protects and keeps skin looking vibrant. Due to my age, I alternate with the Green line which has another great moisturizer for perimenpausal skin.